Systemeye Technologies Limited, a reliable & quick-response source of various technology products & services. To serve wide range of tech hardware and world-class tech support, Systemeye started its journey in 2012 registered with the Registrar of the Joint Stock Companies and Firms of Bangladesh under the Companies Act 1994. Focusing on corporate client’s requirements, we have drawn our product line and support type. 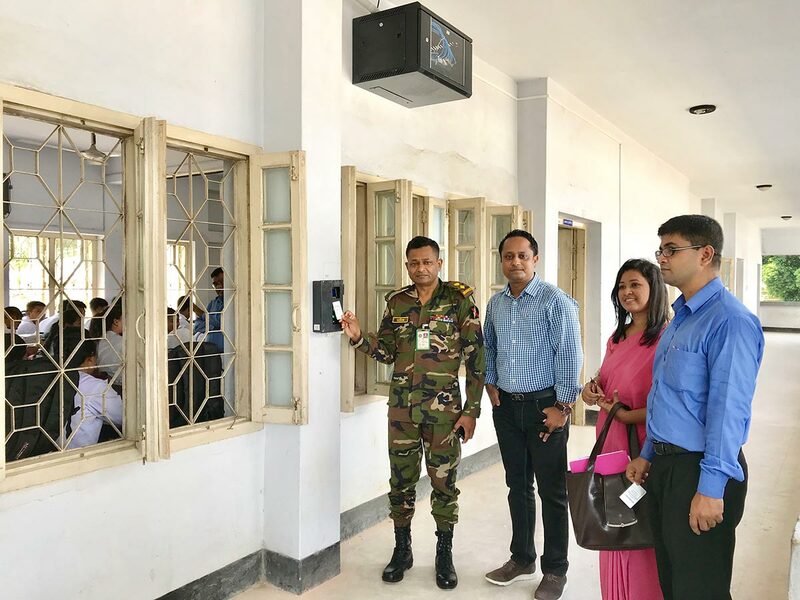 Project Photo: Attendance System & Fiber Optic Campus Area Network at Khagrachari Cantonment Public School and College (September 2018). Our Solution includes CCTV, Attendance System, Digital Signage & Video Wall, Gaurd Tour Management, IP Telephone Solution, Fire Detection System, Video & Audio Conference System, Online UPS solution, License Software of any renowned brands. We have a clear focus on high quality, on time delivery and cost-effective technology services. Our Vision is to be trusted provider of IT products & Service to Corporate Business Arena in Bangladesh in touch with the latest technology. Our mission is to provide expert, quality, professional and affordable services to clients to achieve their business goal and objectives.